We offer financial statement audits for businesses in need of the highest level of assurance that their financial statements are accurately represented and in conformity with Generally Accepted Accounting Principles or Other Comprehensive Basis of Accounting. Not as formal as an audit, our reviews include inquiry and analytics to gain limited assurance that your balances represented in your financial statements require no material modifications and are in conformity with GAAP or OCBOA. A compilation is less formal than audit or review, but we will provide a report in conformity with GAAP or OCBOA from information you have provided to us. We will not express an opinion or assurance, but we will take a common sense look at your financial statements to consider whether they are appropriate in form and free from material misstatement. You may instead require Agreed Upon Procedures, which may include, but are not limited to Energy property T1603 cost certifications, bank collateral review and verification, inventory audit or other client specific requests. 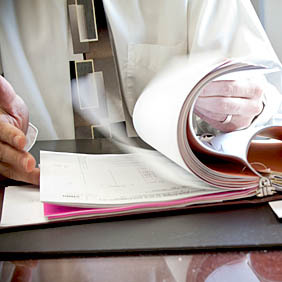 In all cases, we will provide you with bound reports and statements with footnote disclosures when appropriate. Management information design and implementation.